Adolfo Dominguez was the first fashion designer to project their own brand, began in 1973 with a small tailoring shop. Although initially entrusted to design your own style more youthful and urban clothing. 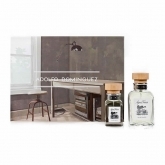 Visit our gallery of both Adolfo Dominguez perfume man as woman perfume. Around 1986, Adolfo Dominguez decides to agree with society Myrurgia for the two trading in perfumes. The first perfume that brought to market Adolfo Dominguez, as he was called. 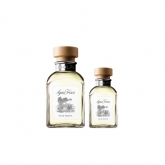 He eventually released other perfumes like "Agua de Rosas", "Vetiver" , "Azahar", line U and others.